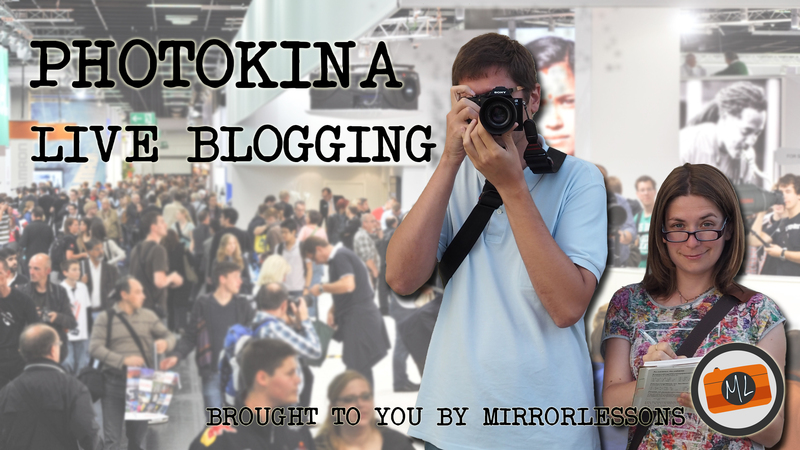 Photokina 2014 Live Blogging – Follow us to the largest photo trade show in the world! You are here: Home / Photokina 2014 / Photokina 2014 Live Blogging – Follow us to the largest photo trade show in the world! When we first started MirrorLessons, we never could have imagined that our online blogging journey would eventually bring us to the biggest photography trade show in the world, Photokina 2014, but here we are a year and a half later, ready to board the plane for Cologne! In the past, we have visited other conventions such as the Photo Show in Milan and the Photography Show in Birmingham, but neither compare in size nor popularity to Photokina, an event which only occurs every two years and features all the most well-known photography brands in the world. At this year’s event, Mathieu and I will be doing a complete reportage on anything and everything to do with the mirrorless camera world. We have interviews lined up, new cameras and lenses to test, meet-ups with our fellow photographers and bloggers planned, and much more. If you want to receive all the updates from our six days at the event, all you have to do is visit this “sticky post” where will add links to our most recent articles and reviews as we upload them. You may also choose to subscribe to us and receive our daily updates right in your inbox. Do remember that if you have any questions about the event and the various mirrorless brands, you can feel free to leave us a comment in the comments section below. We will do our very best to respond to you! Live Blogging will start on September the 15th with all the major press releases, while our first hands-on reviews and interviews will begin on the 16th and be published the day after. You can also follow us on Facebook, Twitter and Instagram for additional pictures and updates! The Lumix CM1 Smartphone – The first true fusion of camera and smartphone? Photokina 2014: An interview with Sony Japan – Mirrorless innovation, new lenses, and more! Five new lenses for Sony’s mirrorless full-frame system & Pro Support comes to Europe!